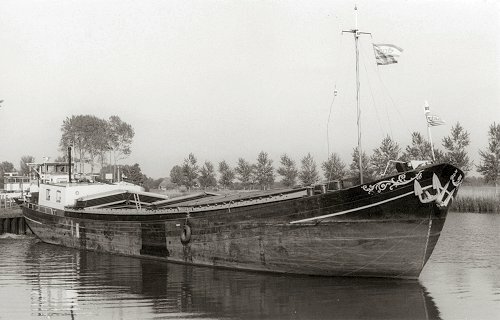 The Aldebaran was built in 1893 as a two-masted river clipper by Scheepswerf ‘Ruitenberg’ on behalf of the Bruynincks family who gave it the name “Baronie”. The sailing area was then all channels, rivers in the Netherlands, Belgium and Germany, the lakes, the Zuyderzee and Wadden Sea and they transported potatoes, grain, hay, coal. n 1913, Johannes Romijn in Almkerk became the new owner and gave it the new name Spes Salutes. In 1953 the ship was motorized at Metz on Urk with a 65 hp Deutschewerke (that engine is now at Bolier in Dordrecht). Until 1988, the ship served in cargo shipping. In 1988 the ship was given up for the demolition. 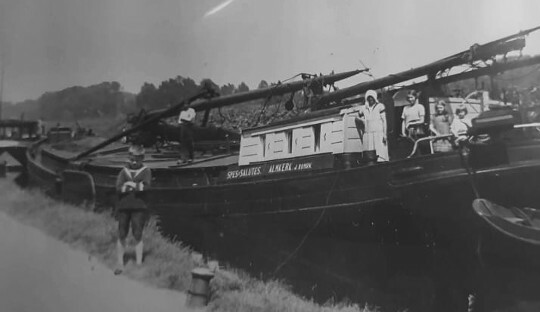 Fortunately, the Spes Salutes was bought by Willem van Gelderen & Moniek van der Werff and they have brought the ship back to the original state with great love. After a few years, the idea arose to renew the entire interior, that was a big job, but the result may be there. The renovation was done in 2010, there were spacious cabins for 2 or 4 people, with private toilet and shower. Floor heating is installed in the cabins. In 2015, the ship was bought by Frank who had new glued wooden masts on it. Frank Fischer has been the skipper / owner of the Aldebaran since 2015.